To some people, the term organic is just hype and buzz to sell overpriced fruits and veggies at the grocery store. The truth is that organic gardening is all about creating the right environment for the plants in your garden. This means a living soil that has all of the nutrients needed to grow a bountiful harvest and promote healthy plants for years to come. Many commercials fertilizers act like a patch for a quick fix whereas organic gardening is looking to find the most natural way to repair and amend the soil. It’s rare to find dirt that’s in completely perfect condition so organic fertilizers can be necessary. Let’s dive a little deeper into organic fertilizers for home gardeners who focus mainly on soil gardening. Fertilizer is fertilizer, right? Well, there are some differences between chemical fertilizers and organic fertilizers. The chemical fertilizers that you purchase in the store will have mineral salts that are soluble in water that allow the plant roots to absorb it quickly, and you see these results which makes you think that your soil is better thanks to the treatment. The thing about these chemical fertilizers is that it’s not acting as a social conditioner. It’s not giving the soil what it needs for the beneficial microorganisms and insects. Earthworms are one of the most useful creatures to have in your garden, but these chemical fertilizers won’t feed them, but they may also keep them away. 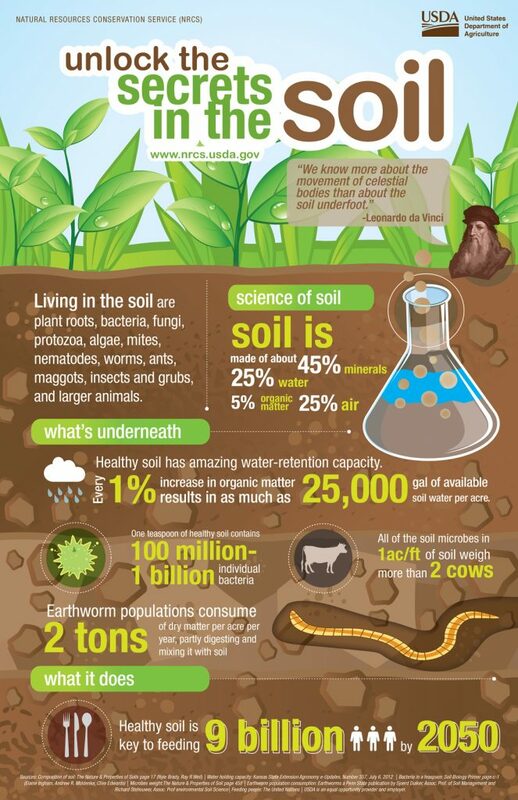 This may not seem like a bad thing to some, but over time, your soil does not have the ecosystem it needs to be a quality soil. This will result not only in poor soil but will also contribute to your soil not being able to hold water as it once did. You’ll need to apply more of the chemical fertilizer to your soil to support the life of your plants as it will leach out quicker, and this will continue the cycle of having to continue to apply these chemical fertilizers. This is what separates organic fertilizers in that it acts in both capacities. It will provide the nutrients needed by the plants as a fertilizer and will act as a soil conditioner that improves the overall quality of the ecosystem that is in your garden’s dirt. Your soil will have a healthy ecosystem, and won’t end up into this endless cycle of over-fertilization. Now, just because you pick up a fertilizer labeled as organic doesn’t mean that it only has natural and safe ingredients for your garden. There are national standards that are in place to define what is an organic fertilizer. The problem is that it can be complicated to understand these standards. Chemical fertilizers are often created by making rock minerals more soluble by treating it with acid or using a manufacturing process with natural gas and coal. Organic fertilizers come from mined rock, plants, and animal materials. Reading labels is important for more than just your food. Check the labels of the organic fertilizers you’re considering. Look for this OMRI certification logo and you’ll now for sure its organic. Not all true organic fertlizers may have this certification, but ALL that carry this certification are without a doubt organic. Optimally, you want to find labels that contain the words certified organic or OMRI certified. OMRI stands for the Organic Materials Review Institute, and this organization keeps lists of products and companies that are compliant with the national standards. This doesn’t mean that only the best commercial organic fertilizers always carry OMRI certification, but the OMRI seal is simply a way of ensuring that products meet the strict standards of organic fertilizer sourcing and manufacturing. Don’t be shy when you visit your favorite garden center or DIY store. Talk with the employees. They can be a great source of information about the fertilizers they have on hand. If they don’t seem knowledgeable, see if they know another employee that knows a little more. However, if you don’t have access to a retail location, go online, and don’t be afraid of shooting off an email asking questions. You may have kept using chemical fertilizers because you’re worried about organic fertilizers being more complicated and time-consuming, but it doesn’t have to be difficult. Some people opt for feeding their individual plants while others prefer a more general application of organic fertilizer. Once you start applying this fertilizer, you’ll find your groove for what you prefer. A dry organic fertilizer is a good choice for an overall application. This can come as a single material, such as manure, compost kelp meal, cottonseed meal, fish meal, bone meal, worm castings, or as a blend of several materials. You will find that the blends provide a balanced amount of nitrogen, potassium, and phosphorus in addition to the micronutrients that your soil needs. Manure – a crude form that should be incorporated into soil a few months before planting. This gives it time to break down so that nutrients are available to plant uptake. Compost – decayed organic material that has broken down and ready to apply at planting. Good source of natural nitrogen. Kelp Meal – dried seaweed and is harvested from the ocean. Typically a low N-PK analysis but chalked full of vitamins and minerals. Cottonseed Meal – byproduct remaining after cotton is ginned and the seeds crushed and the oil extracted. A good source of natural potassium. 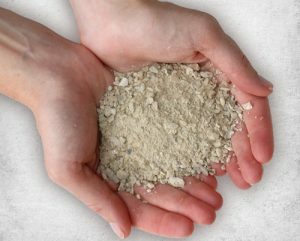 Bone Meal – A good source of natural phosphorous. Pulverized Organic Gypsum – Mined gypsum (Calcium Sulfate) produced without heat or additives as required by USDA & OMRI. Improves soil structure and good source of natural calcium. A typical application will require you to spread out the dry fertilizer and then mix it into the top several layers of soil. You’ll want to get it mixed in between four to six inches deep. Also, when planting or transplanting, you can add a small amount of it to the hole as you go along. The beautiful thing about organic fertilizer is that it won’t burn the roots of your seedlings like chemical fertilizers. Be sure to follow any specific instructions listed on the label. A liquid fertilizer works well as an overall application that you can give every so often during the growing season. Depending on your plants’ needs, you can use this every two weeks to monthly. Typical 5-1-1 Fish Fertilizer Concentrate. Good source of nitrogen for vegetative growth. Seaweed or kelp extracts are also a good source of trace minerals. This is an excellent choice for your vegetable garden and other fast-growing plants to help you get an abundant harvest. This is considered a foliar fertilizer. A typical application will require you to mix the liquid and spray onto your soil and plants. The sprayer attachments for your garden hose is a perfect method of spraying your liquid fertilizer. Click here to get your garden hose sprayer attachment! Be sure that your sprayer wasn’t used for herbicides or pesticides previously. You will want to apply this type of fertilizer after you’ve transplanted your seedlings, when fruit is being set, periods of time with extreme temperatures, and periods of drought. As with dry fertilizers, it’s important to follow the instructions on the label. Each liquid fertilizer may require a different dilution or a specific application. Time of day can be important for liquid fertilizer application as wetting the leaves of your plants during the hottest and sunniest parts of the day can scorch them. Early morning or evening are the best for your application period. You also want to wait until a day without rain in the forecast, and more mild temperatures if possible. Hopefully, this quick primer will help to introduce you to the world of organic fertilizer. We’ll be following this 101 article up with further in-depth information on topics from adding the miracle of the sea to your garden to creating your own compost. So stayed tuned! Feel left out as you focus on hydroponic or specialty gardening? An organic fertilizer series is in the works with you in mind. PS: If you’d like for me to send you a Garden Hand Lens for FREE, click here.